Durleigh was, until the middle of the 20th century, a small hamlet centred on the church, with a mill, manor houses, farms and cottages. The westward expansion of Bridgwater has resulted in the parish boundary enclosing some modern urban estate development. There remains also an area of a more rural character with farmsteads and other more scattered buildings. 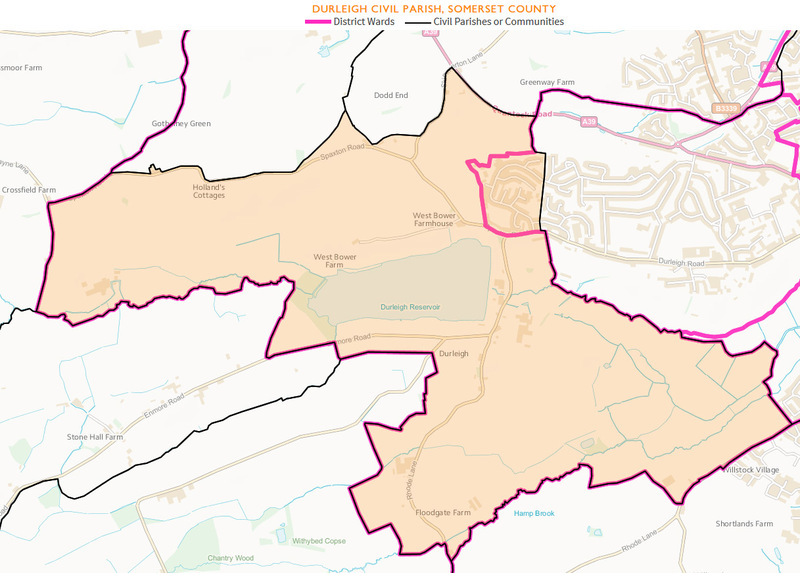 The Electoral Boundary Commission, in its most recent review, has recognised this division by separating the Parish into two: the mainly built up Wyndham Ward and the more rural Durleigh Ward. In total there are 436 registered electors. The Boundary Commission, left unchanged the historic outer boundary of the parish. 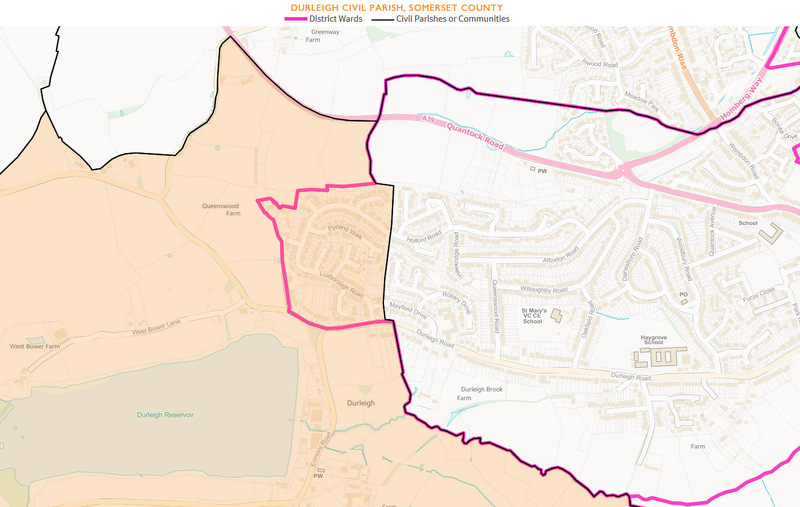 This means that only a proportion of the housing estates to the west of Bridgwater are in Durleigh parish, with the remainder falling within Bridgwater Town. The map shows the current position. A prominent feature, within the Parish, is the Durleigh Reservoir which was built in 1938. The reservoir provides an excellent leisure facility providing good dinghy sailing and freshwater fishing. Bird watchers also regard it as a good site for watching migrating birds. The ancient Church of St. Hugh holds regular services and provides a tranquil oasis for quiet contemplation.